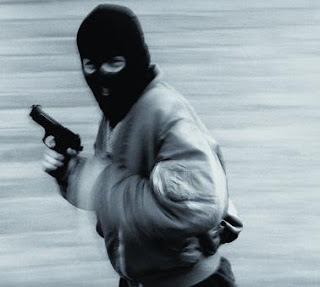 Three policemen and four other persons were killed on Thursday as robbers invaded a commercial bank in Ilasa-Ekiti, Ekiti East Local Government Area. The News Agency of Nigeria (NAN) gathered that the robbers invaded the bank and destroyed the security door with dynamite before gaining entry into the hall. Two of the policemen were said to have been shot dead at the nearby Ilasa Police Station while the third who was on guard, was killed at the entrance to the bank. The four other victims, who were identified as indigenes of the town and neighbouring Omuo- Ekiti, the headquarters of the council, were said to have been hit by the robbers’ stray bullets. The town, known for high production of yams, was a shadow of itself as commercial activities were paralysed due to the incident. Due to the rate of the killings, the State Commissioner of Police, Alhaji Ibrahim Maishanu, and the Command’s Public Relations Officer (PPRO), Mr. Victor Babayemi, immediately visited the town to verify the incident. The robbers, who were said to have brandished AK47 and Kalashnikov rifles, shot sporadically into the air to scare the people throughout the 45 minutes the operation lasted. An eye-witness told NAN that the eight-man gang invaded the bank at about 1.30 p.m. and launched attacks on both the bank and the nearby police station leading to the deaths. Residents of the town were reported to have fled into the bush for safety while some were said to have been injured in the process. When contacted on telephone, the PPRO, Mr. Babayemi confirmed the incident. He said the State Commissioner of Police would later give a comprehensive explanation on the incident.